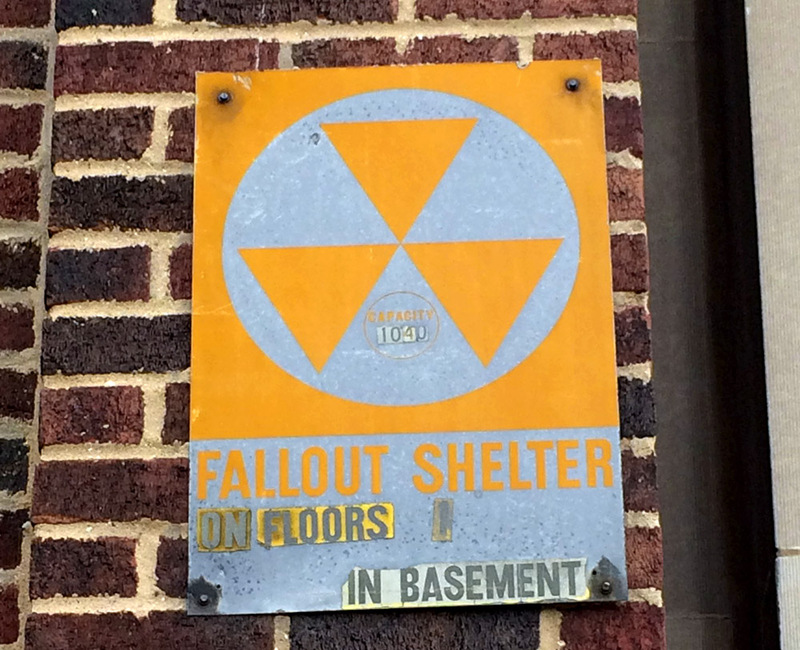 Are there fallout shelters left in Chicago? Kyle Bolyard’s drive to work as a history teacher in suburban Niles, Illinois, takes him past a strange sign. It’s planted on the side of a sturdy, brick building owned by the regional wastewater treatment authority. Fallout shelter, as in nuclear fallout following an atomic bomb blast. The symbol on the sign is familiar to Americans who lived through the Cold War: three yellow triangles circumscribed in a circle, pointing down. That sign got Kyle thinking. I was wondering if there were any nuclear fallout a nuclear blast shelters left in the city of Chicago or the area. By some estimates there were hundreds of thousands of dedicated fallout shelters built in the 20 years following World War II. We looked for one still standing, and we did find some old shelters. But they’re hardly the apocalypse-proof, fully-stocked bunkers that were once ready to weather a bomb blast and weeks-worth of radioactive fallout. Still, these remnants of Cold War-era infrastructure do exist across the city. In fact, buildings that served as fallout shelters are often in places you might not expect. It feels distant to many people today, but for years the world was gripped with fears of a possible nuclear war between the Soviet Union and the United States. Each country stockpiled tens of thousands of nuclear warheads in the decades following World War II, pursuing a strategy of “deterrence” by bulking up to discourage an attack. Meanwhile the now-defunct Office of Civil & Defense Mobilization (commonly called Civil Defense) focused on preparing Americans for the unthinkable. A lot of people from this era remember Bert the Turtle, who taught a generation of kids to "duck and cover" in the event of a bomb. They were worried about two things: the actual blast of an atomic bomb, of course, but also its fallout — contaminated dust and debris kicked up into the air and rendered radioactive by a nuclear explosion. Big, industrial cities like Chicago were considered major targets for a possible nuclear attack. Diane Addams, who grew up in the Woodlawn neighborhood during the 1950s, remembers it as an anxious time. Addams says those who had the money and a little property could build their own bunkers. As apartment dwellers, her family had to have faith in public shelters. “It was just an eerie time,” says Addams. Cold War preparation really got hot in 1961, when Soviet Premier Nikita Khrushchev threatened to cut off Western access to Berlin, then a divided city. President John F. Kennedy addressed the nation, pumping up the Civil Defense budget and urging Americans to prepare. Although some historians say the speech was mainly meant to intimidate Khrushchev, one effect was to stoke public anxieties about nuclear war. 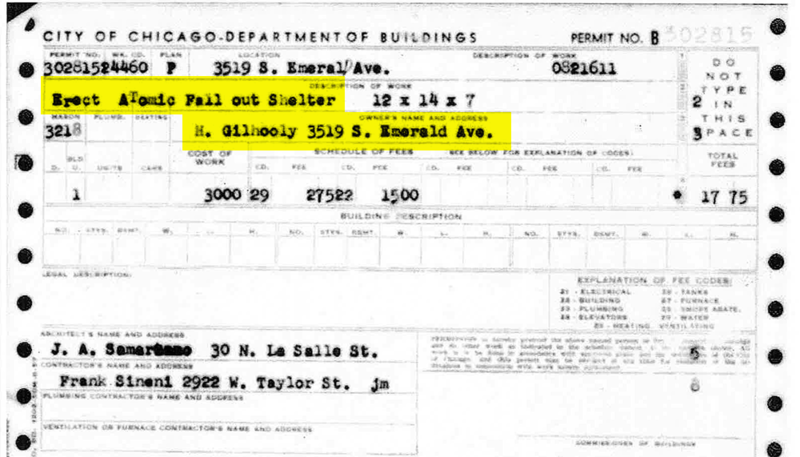 Like many cities across the country, Chicago designated existing structures as public fallout shelters, typically choosing large masonry buildings with windowless basements and thick stone or concrete walls. Federal officials affixed these buildings with reflective metal signs measuring 10 by 14 inches. In Chicago those included public school buildings, City Hall and, indeed, the Terrence J. O&apos;Brien Water Reclamation Plant at 3500 W. Howard St. — the building that inspired Kyle Bolyard’s question. Practically every town in America had some sort of public refuge like this, and Chicago had thousands. In 1967 the Chicago Tribune reported that Cook county had 2,522 public fallout shelters, of which 1,691 were stocked with food and supplies. About three quarters of the county’s 5 million people could have fit in the shelters, most of which were downtown, in the Loop. Federal Civil Defense officials were responsible for stocking fallout shelters with everything they’d need to survive at least two weeks underground. Nationally the Pentagon spent more than $80 million on supplies, which included bulgur wheat crackers for nutrition, giant drums of water and “sanitation kits” for personal hygiene. None of the agencies that we talked to — local, county, state, federal — could say exactly when they stopped checking up on fallout shelters in Chicago, or even what happened to any of the records about how many shelters existed in the area. It just kind of dropped off. And by 1963 some survival kits were already deteriorating in storage. The Tribune reported supplies for 2.2 million people were sitting “virtually untouched” in federal warehouses at 39th Street & Pershing Road and at O&apos;Hare International Airport. 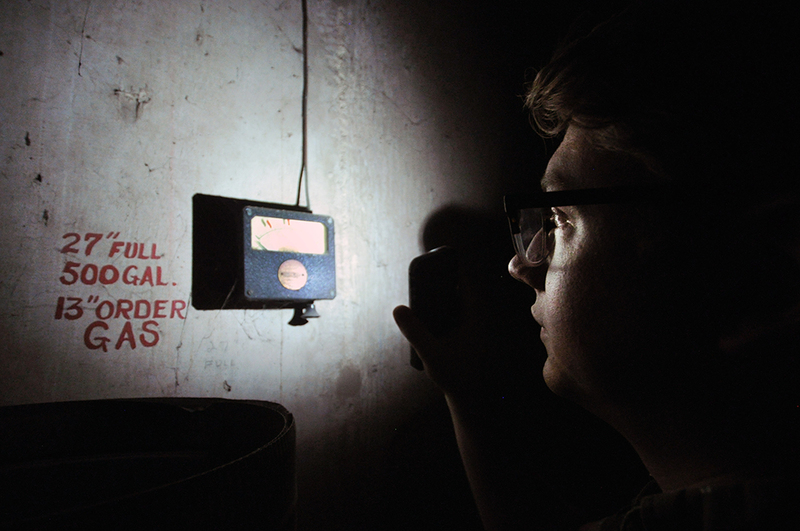 “According to records of the federal government, Illinois ranks 50th in the fallout shelter stocking program. Chicago rates at the bottom of the list of metropolitan cities,” reported David Halvorsen. Just a few dozen of the 3,000 federally approved shelters had been stocked, months or years after they’d been designated as public refuges. In some cases, though, the city did more to adapt to Cold War concerns than just slap a fallout shelter sign onto existing buildings and wait for federal supplies — a fact that becomes apparent during a tour conducted by Larry Langford, spokesman for the Chicago Fire Department. Langford drives me, questioner Kyle, and his wife, Amanda Snyder, around the South Side to see a few fire stations that had their own dedicated fallout shelters. 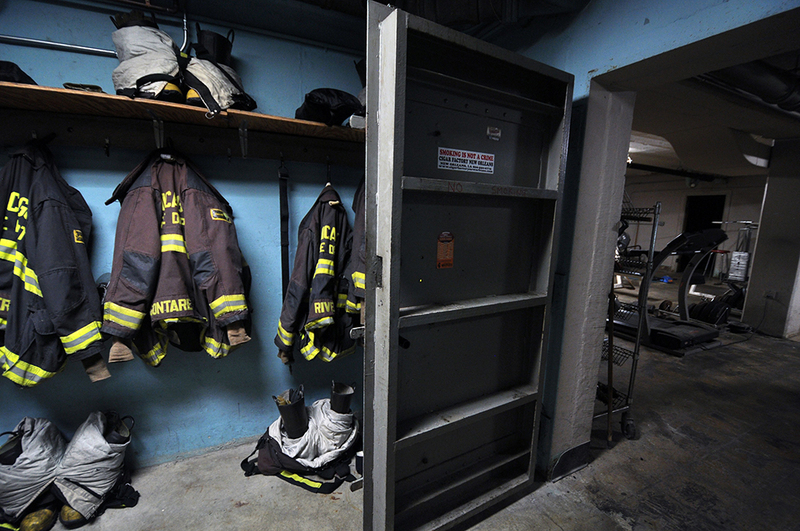 “Most of the North Side fire houses have been replaced. So we have to, of course, go to old firehouses to find this,” says Langford, who remembers Bert the Turtle’s “duck and cover” drills. Today the space under Engine 60 in Hyde Park looks like a lot of basements: Firemen use it to store their workout equipment, as well as bicycles they help repair for kids in the neighborhood. During the Cold War, though, the basement had heavy steel doors that could seal in hundreds of people at a time. The shelter also had a generator and a sophisticated air handling system to keep out radioactive debris. “The walls are very thick concrete designed to withstand all kinds of shock,” he says. As for a direct hit by an atomic bomb? “Nothing&apos;s going to withstand that,” he says. For questioner Kyle Bolyard, the area looks like what he expected: bare concrete walls, big open spaces and dark, twisting corridors. All of the shelter’s supplies were thrown out a long time ago, says Langford, but the structure remains solid. “We could still use it if we had to,” he says. Some patriotic citizens built their own shelters, following the advice of nationally circulated pamphlets and public service announcements preaching vigilance. “In the event of enemy attack, every item on this list is essential,” reads one of the many advertisements placed in Civil Defense literature and popular magazines. Their list includes a personal dosimeter for each member of the family to measure radiation exposure, as well as fire extinguishers, radios, air filters and a toilet for the fallout shelter. The structure got in the way of property modifications next door, and the shelter was imploded. Today Jim Schaller owns the Bridgeport home, as well as the remains of the bomb shelter. Schaller says he threw out the old supplies. Now he does his laundry by the patched-over drywall that was once home to the shelter’s steel vault door. He and his wife never thought to save the shelter, even though they’re old enough to remember those anxious days when Cold War missiles were ready to fly. In spite of the nation’s Cold War preoccupation with preparing for a nuclear attack, many people at the time doubted the shelters’ effectiveness. They also wondered whether there was any use in preparing for fallout when a blast itself would likely wipe out most Chicagoans before they had a chance to hunker down. That helps explain why only a minority of Americans built their own shelter. Add that to the fact that an effective shelter could cost about $2,500 (about half of the median family income in 1961), and you have an explanation for why the nation’s brief obsession with bomb-proof shelters translated into relatively few structures. That blend of skepticism and fatalism even spread among public officials. Bernard Kelly, who was the Civil Defense Director of suburban Oak Forest during the early and mid-sixties, says he never thought fallout shelters were an effective response. But the exercises of stocking them and practicing drills proved useful when they needed to deploy responses to natural disasters. And, he says, it was reassuring. "There was a general Cold War threat that hung over the nation,” he says. "And the alternative was to do nothing. It&apos;s not human nature to do nothing." When aldermen were not harassing the discussion they clipped fingernails are gone towards the ceiling for for the most for the most part paying little attention to the government shelter documents handed them at the beginning of the meeting. Few of them asked to vote for the significant ordinance had ever seen the pertinence data previously. Further indication of the perfunctory action apparently expected of the meeting. So even at the time, the urgency of the threat varied wildly, depending on who you asked. What about today? The U.S.S.R. is no more, and there are far fewer nuclear warheads around now than during the Cold War. But nuclear war is still a possibility. Should we be stocking up and seeking shelter? 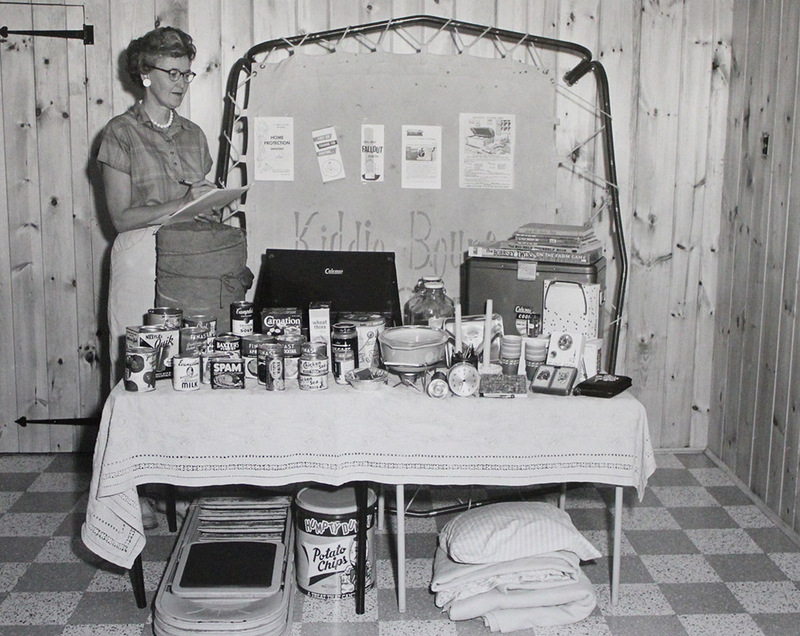 It’s easy to see fallout shelters as an historical oddity, and even to laugh at people like Bernice Gilhooly, who spent thousands of dollars preparing for a bomb that never dropped. Today we have our own national anxieties — about airport security, surveillance, terrorism — with public programs and private responses just as controversial as was a lot of Cold War culture. Someone born today might look back on one of our “if you see something, say something” signs with the same curiosity that drew questioner Kyle Bolyard to that rusty placard announcing a fallout shelter on his drive to work. Kyle and his wife Amanda Snyder both teach at NewHope Academy in Niles. They say they first wondered about fallout shelters in the Chicago area when Kyle teamed up with a literature teacher at NewHope for a humanities class that included a unit on the Cold War. He was hoping to show the class a fallout shelter for a field trip. 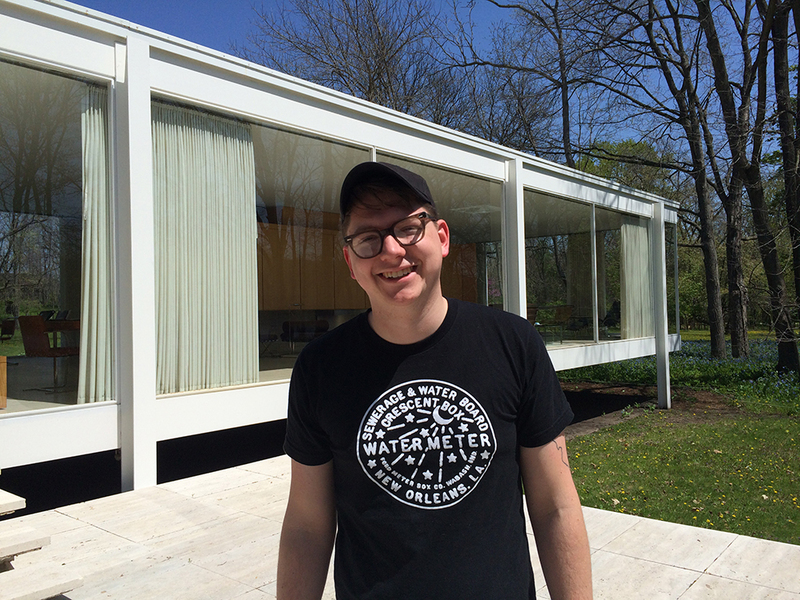 Growing up in Edwardsville, Illinois, outside St. Louis, Kyle knew about Nike Missile sites nearby, and our story about similar sites in Chicago got him wondering about other Cold War infrastructure that might still have echoes today. Now that he’s seen some old fallout shelters in person, he’s satisfied; yes, he expected many bare concrete walls to be left behind, but he was still a little surprised. Chris Bentley is a freelance journalist who reports regularly for WBEZ’s Curious City. Follow him at cabentley.com and on Twitter at @Cementley.